Peppermint (Mentha piperita) is a plant with a wide array of uses, including flavor enhancement and a variety of medicinal applications. Known to have a calming and numbing effect and cause a tingly sensation, peppermint can create an invigorating taste experience or a soothing sensation for particular ailments. Due to its refreshing, cool flavor, peppermint plant oil is often used as a flavoring or scent for foods and cosmetics, according to the West Virginia University Extension Service. Peppermint plant oil is widely used in chewing gum, toothpaste, perfume, soap, tea and aromatherapy. Several digestive difficulties can be treated with the soothing qualities of the peppermint plant, explains the University of Maryland Medical Center. For indigestion, peppermint relaxes the stomach's smooth muscle tissue, allowing bile to flow more easily; consistent bile flow results in successful fat digestion. For flatulence or bloating, the same relaxation of muscle tissue allows gas to pass through the digestive system. For irritable bowel syndrome, often referred to as IBS, peppermint (in the form of enteric-coated capsules) assists in the treatment of IBS symptoms including flatulence, bloating and diarrhea, according to the University of Maryland Medical Center. Peppermint plants may contribute to the easing of a tension headache when applied to pulse points (forehead and temples) as a pain-reduction treatment, according to one study reported by the University of Maryland Medical Center. 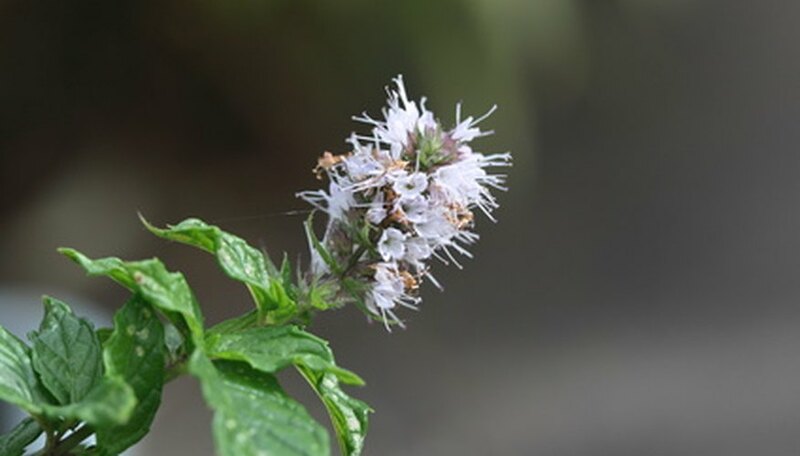 Additionally, the substance called menthol found in peppermint plants is useful in thinning mucus and calming irritated throats and dry coughs (coughs without the presence of chest congestion). The menthol loosens congestion and allows mucus to exit the body, making it an effective decongestant and expectorant, according to the University of Maryland Medical Center. For skin affected by aggravating oils of poisonous plants such as sumac and poison ivy, or for afflictions involving itching or hives, apply peppermint for its cooling and soothing qualities. Topical peppermint may reduce the severity of skin irritation, explains the University of Maryland Medical Center.